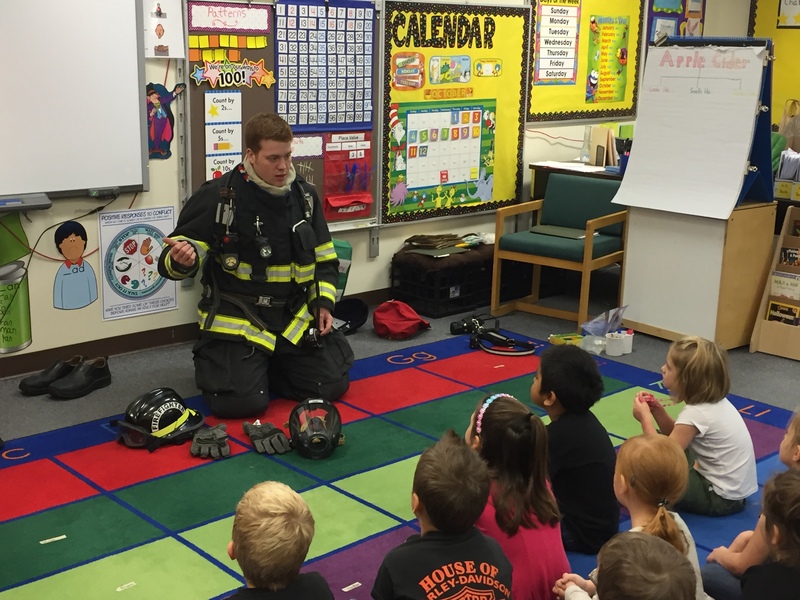 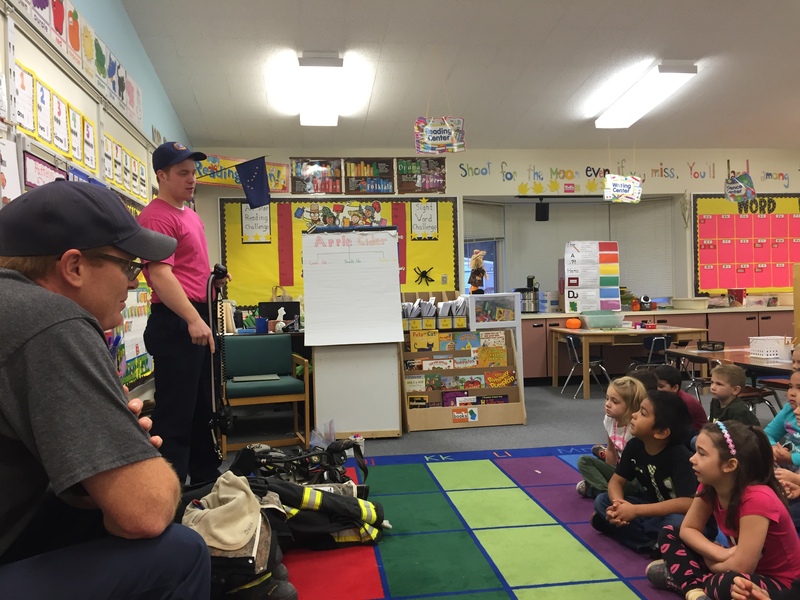 Since October is fire safety month, firefighters from our community came in and show the students their gear and discussed ways to stay safe when there is a fire. 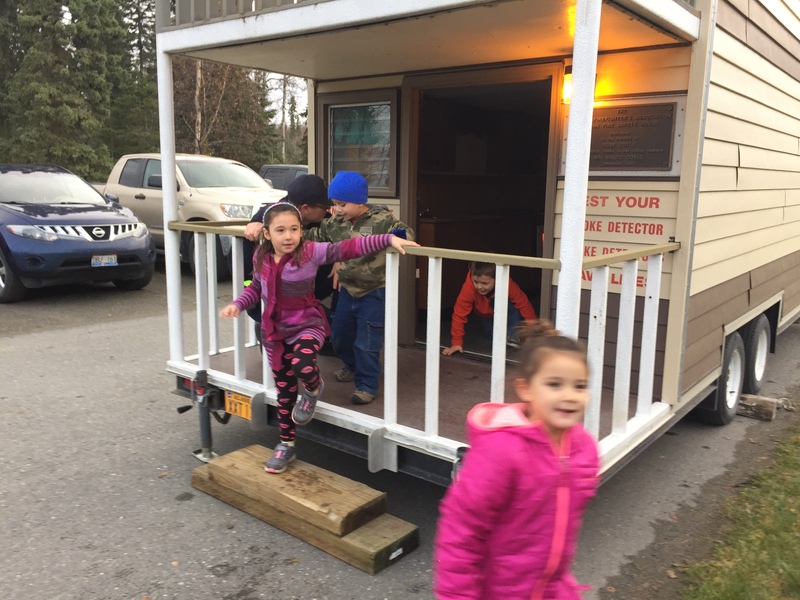 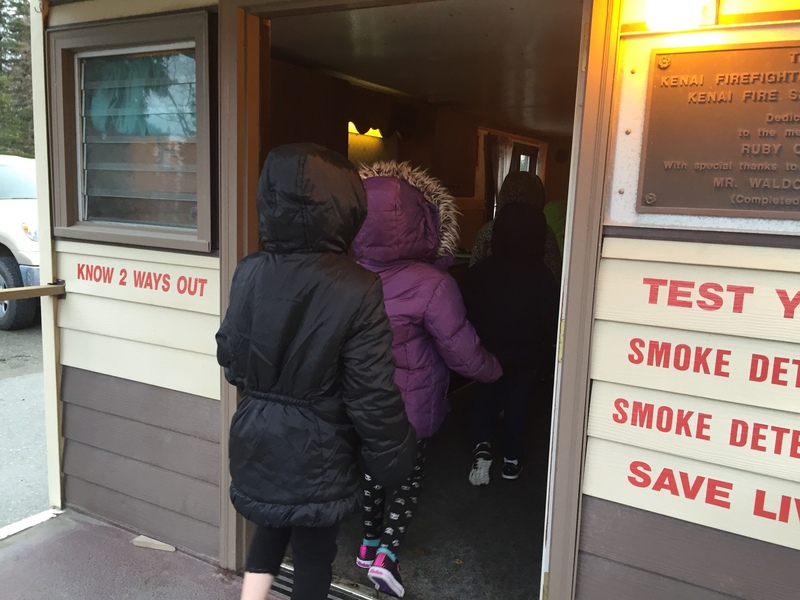 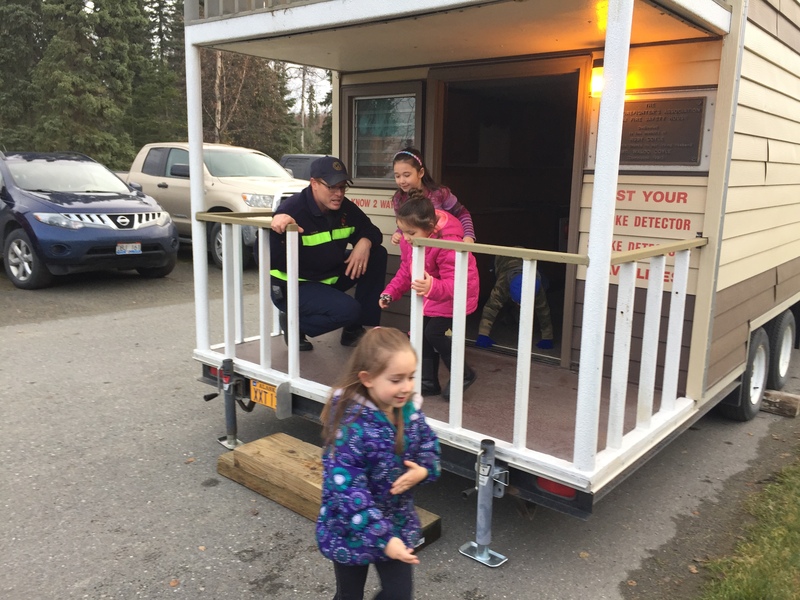 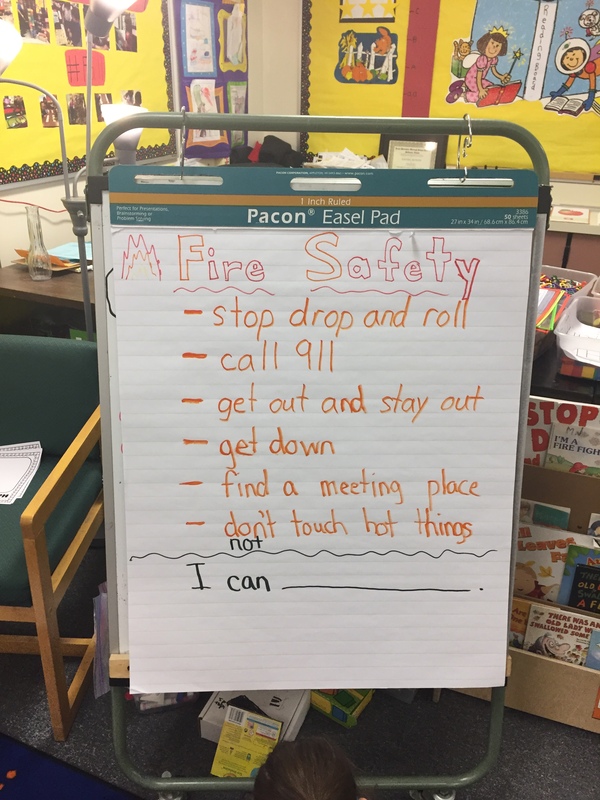 At the end of the presentation students got to practice fire safety in their test house. 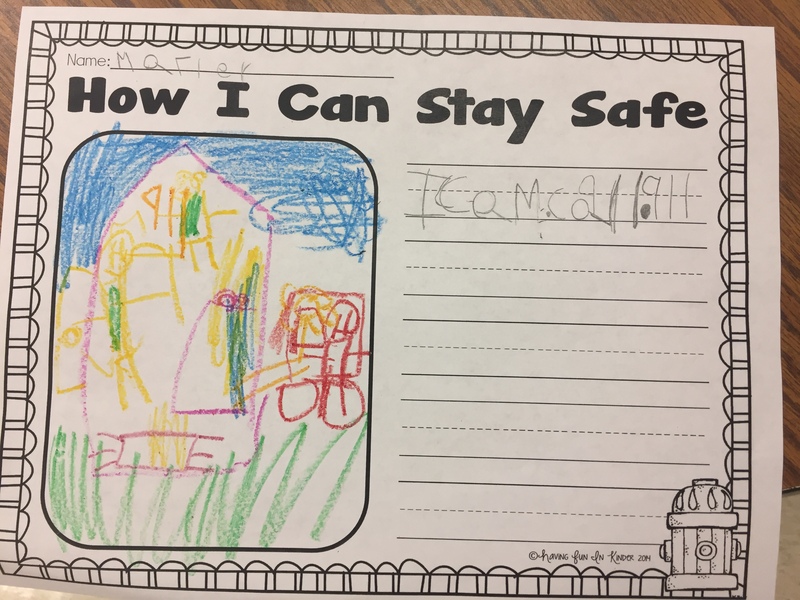 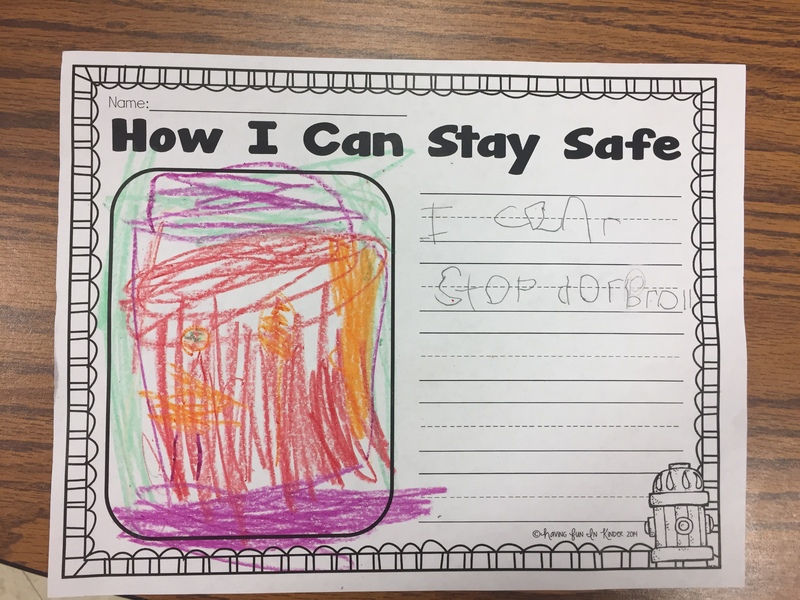 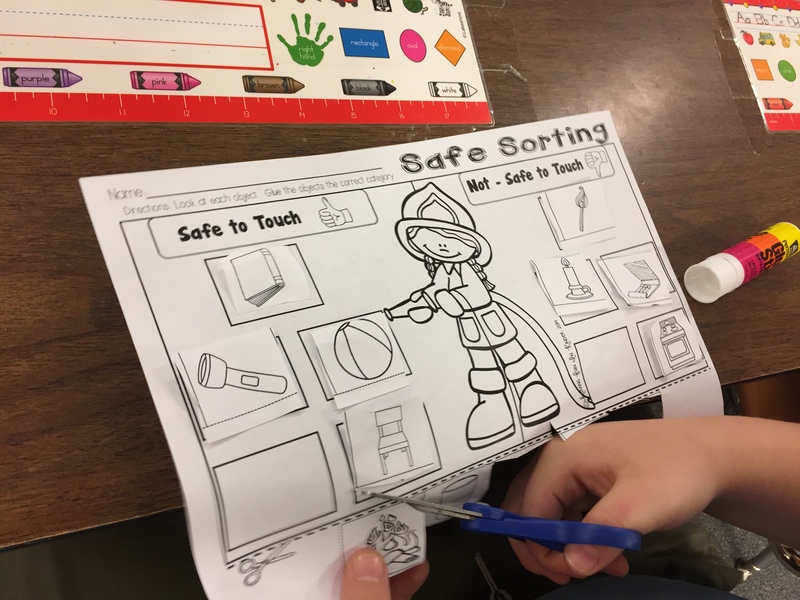 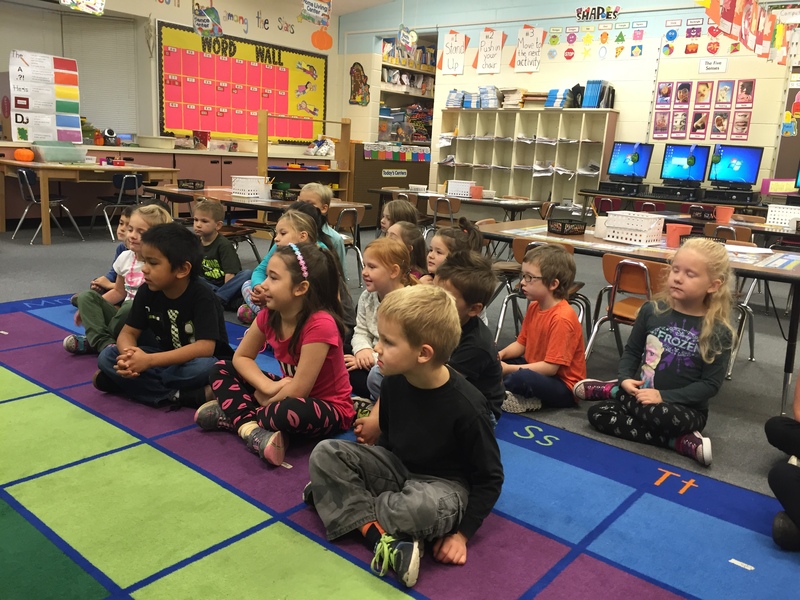 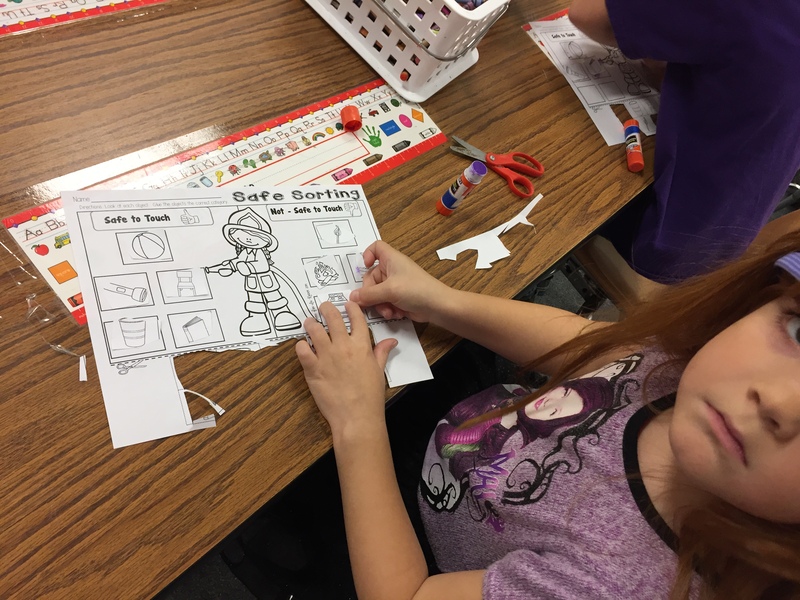 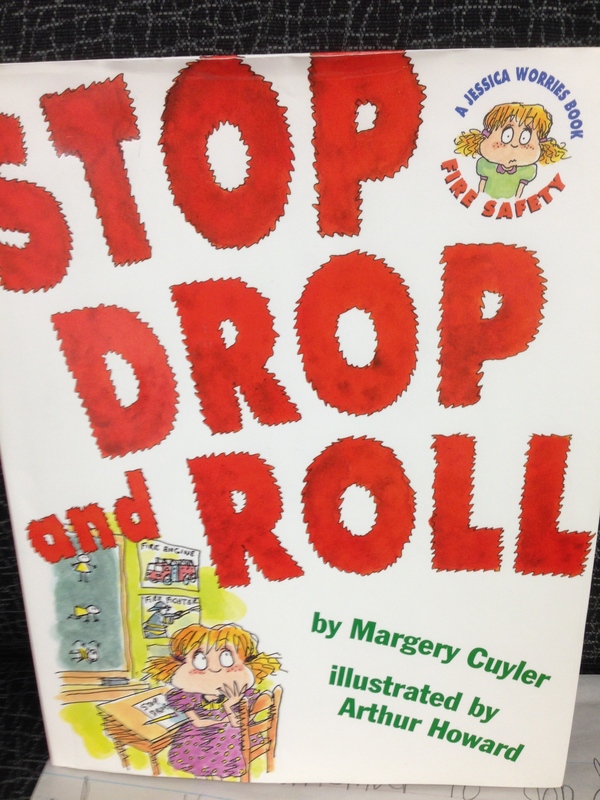 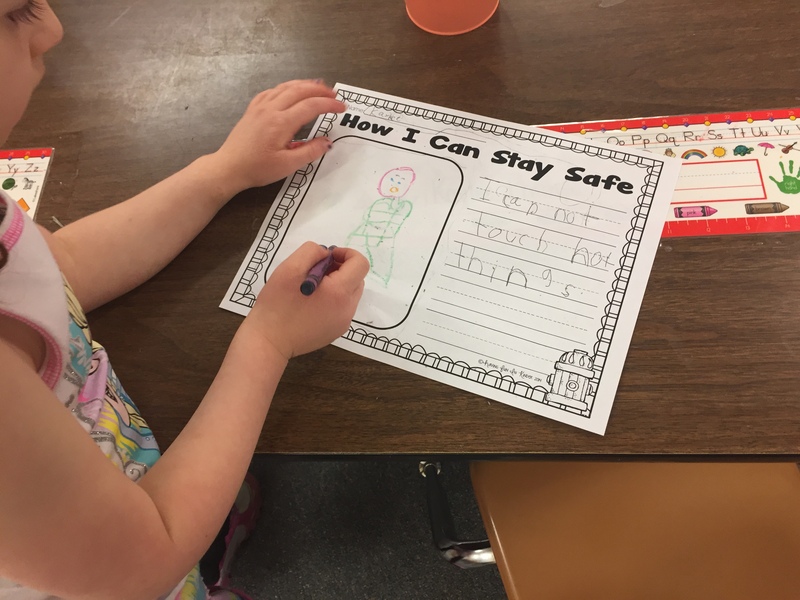 We read the story “Stop, Drop, and Roll” and talked about ways to stay safe if there is a fire. 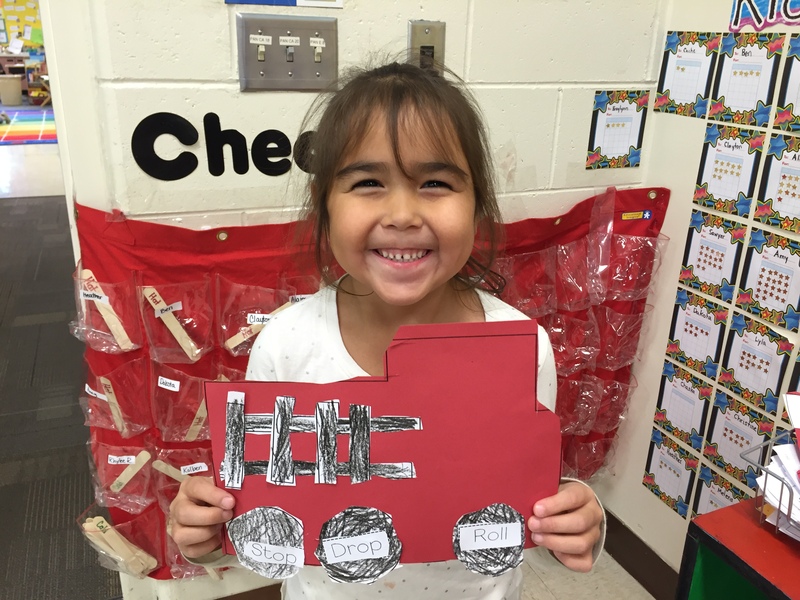 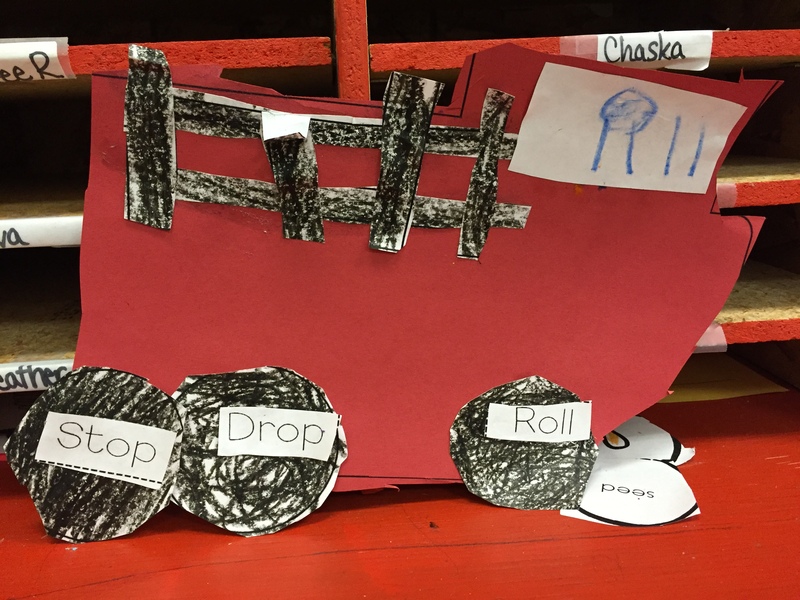 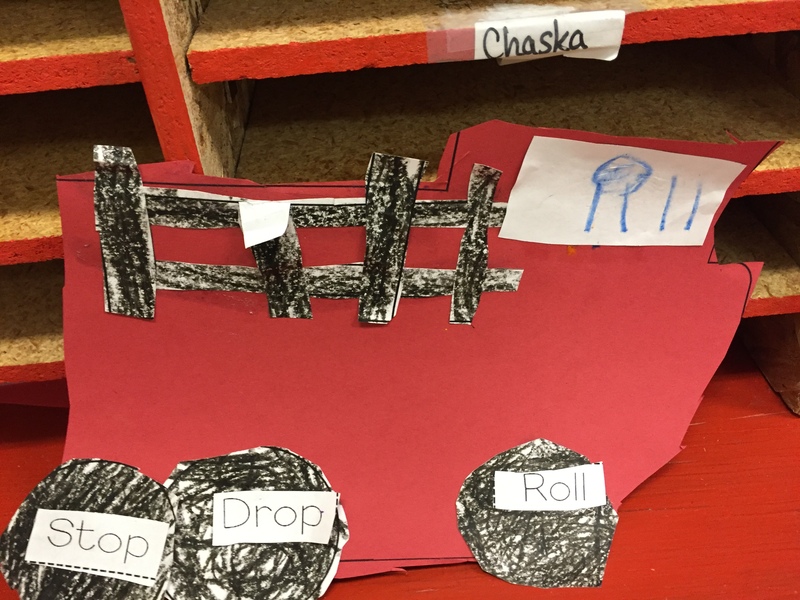 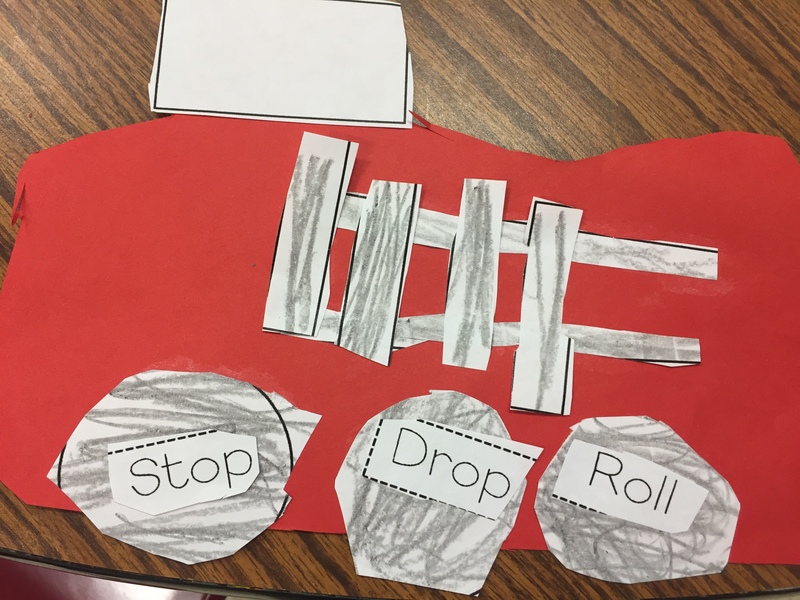 Then we made fire engines with the words ‘stop, drop, and roll’ on them. 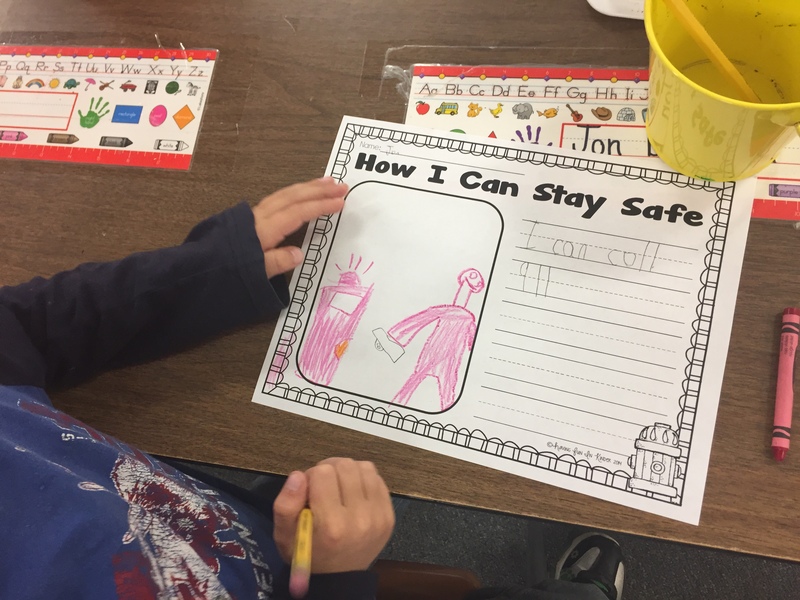 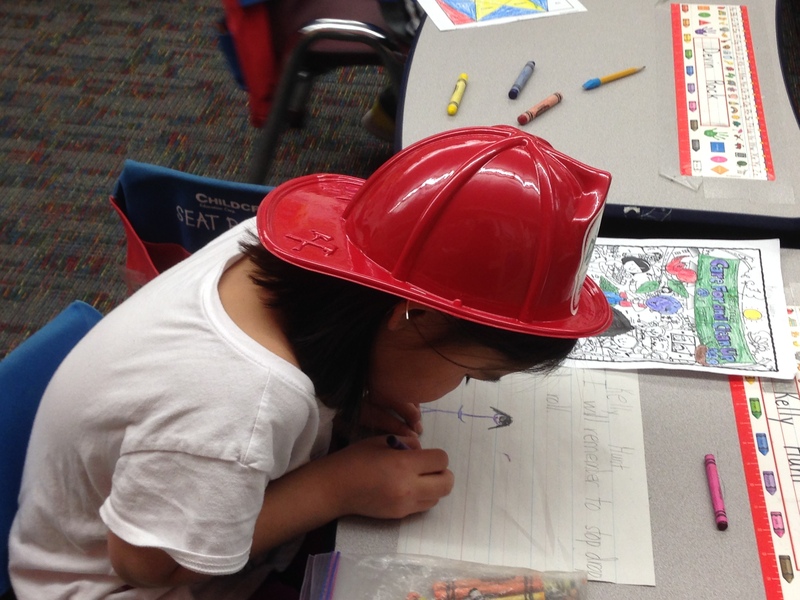 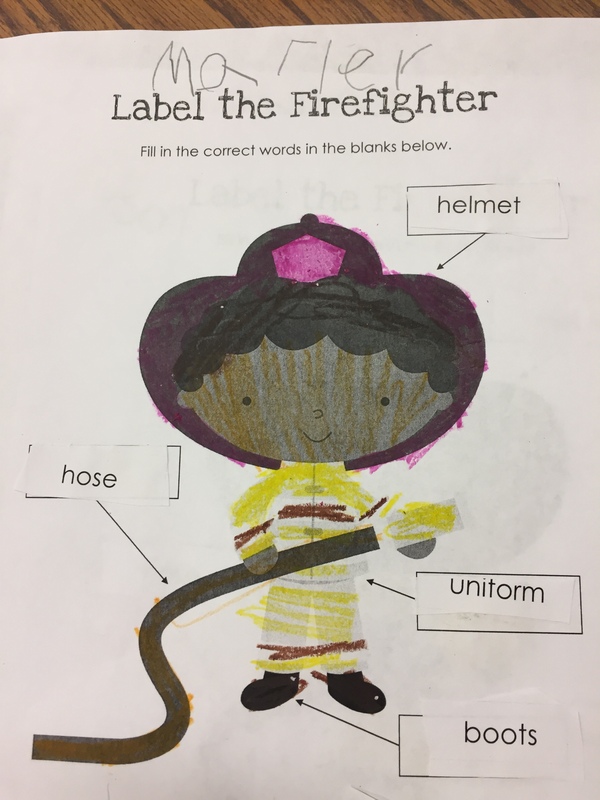 This week we started fire safety week and we talked about how firefighters help keep us safe in case of a fire. 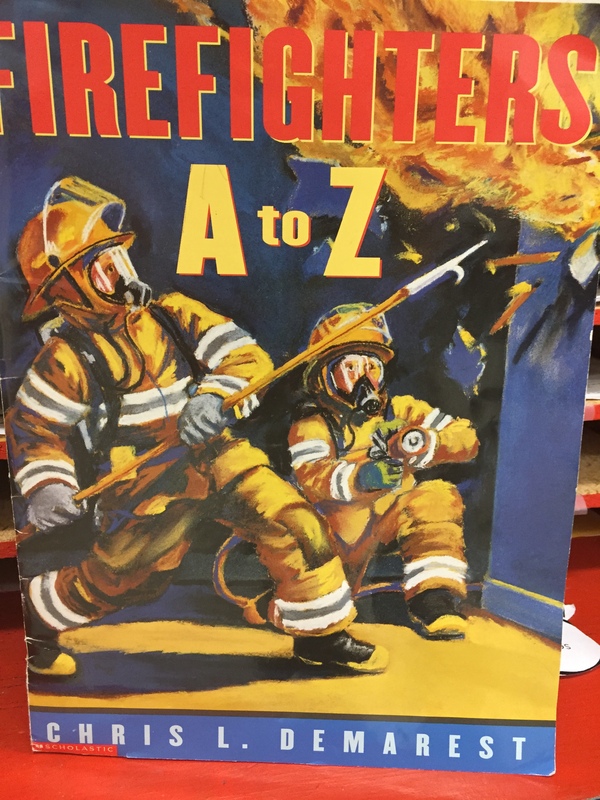 We read the book “Firefighters A-Z” and watched fire at Hooper’s store video from Sesame Street. 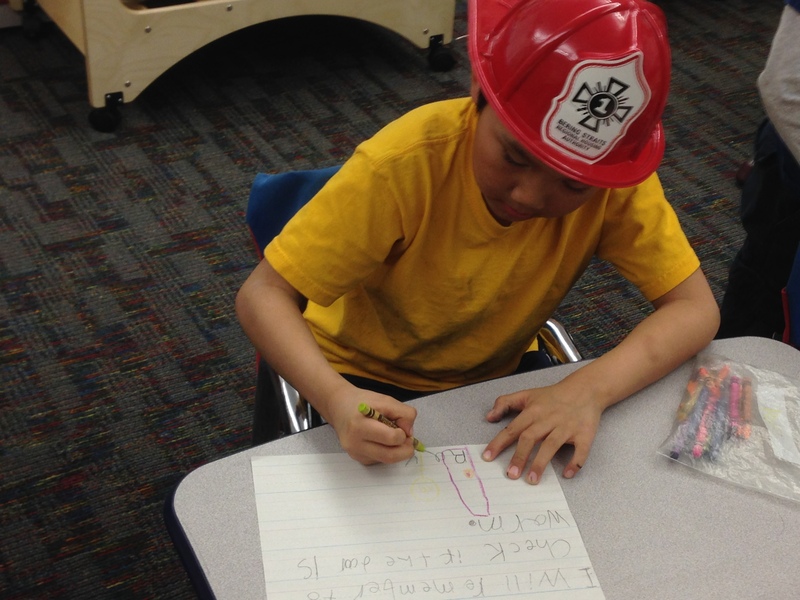 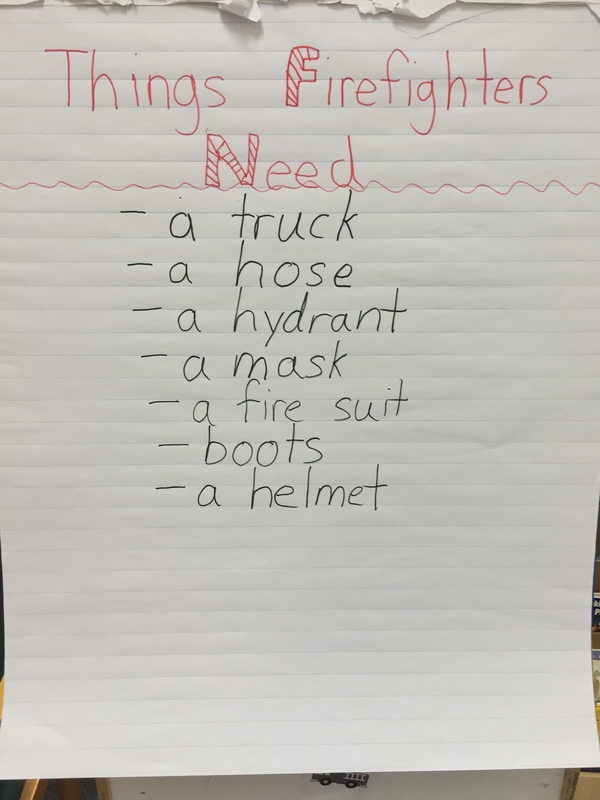 Afterwards we made a list of things that firefighters need to help keep us safe. 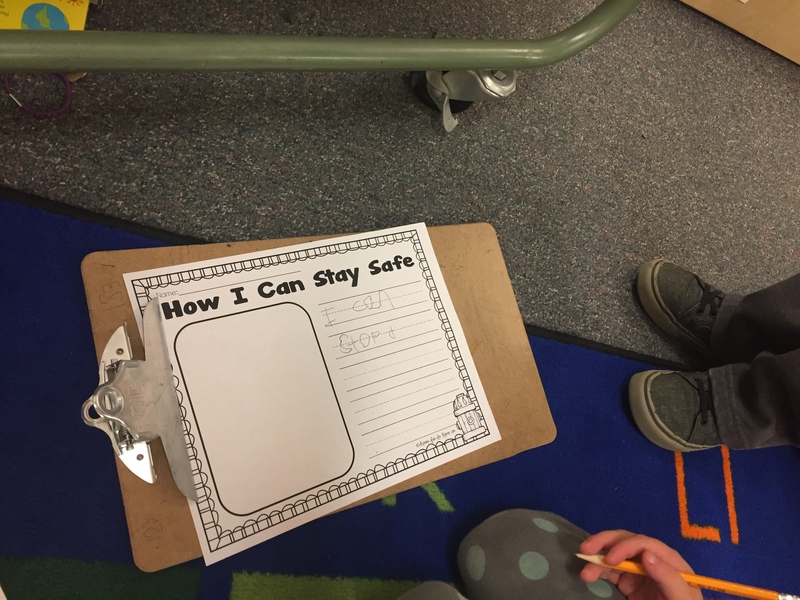 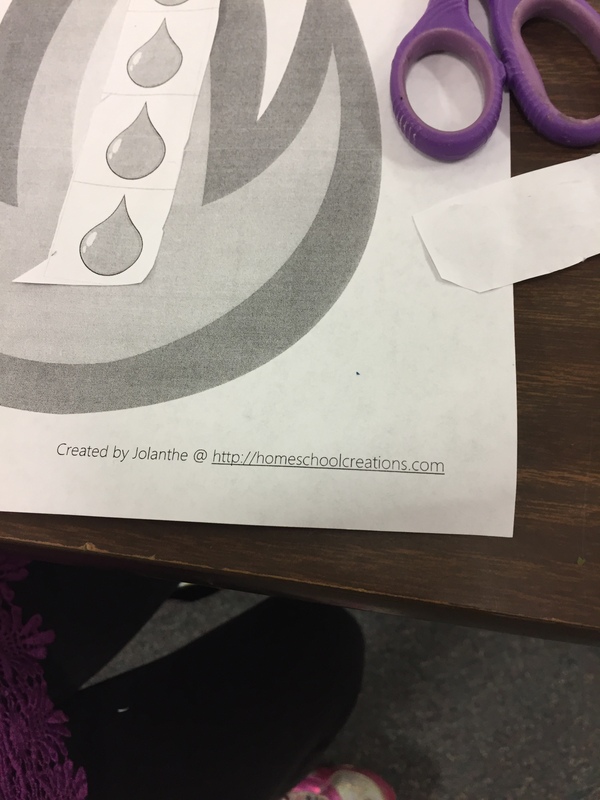 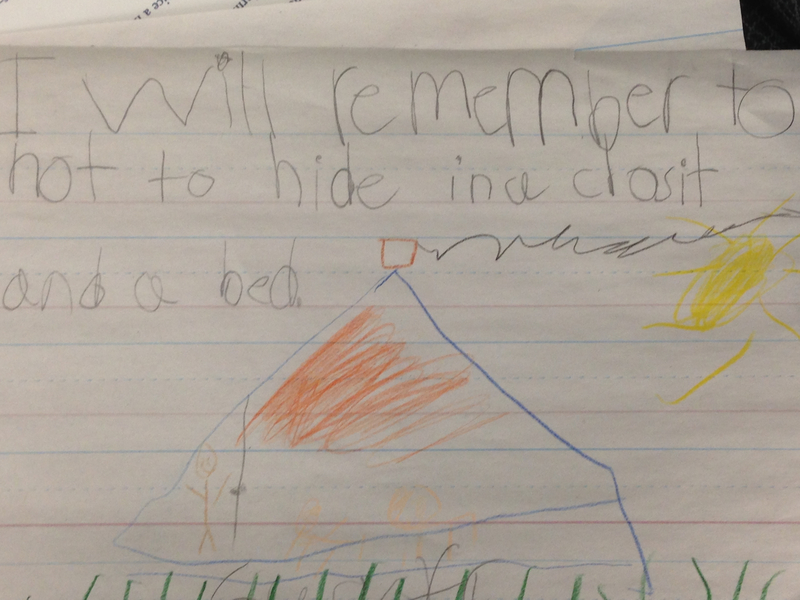 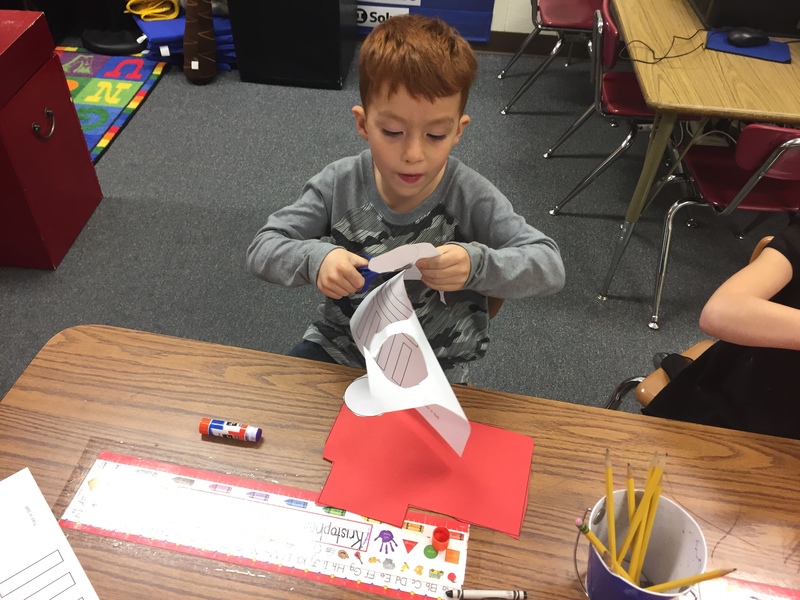 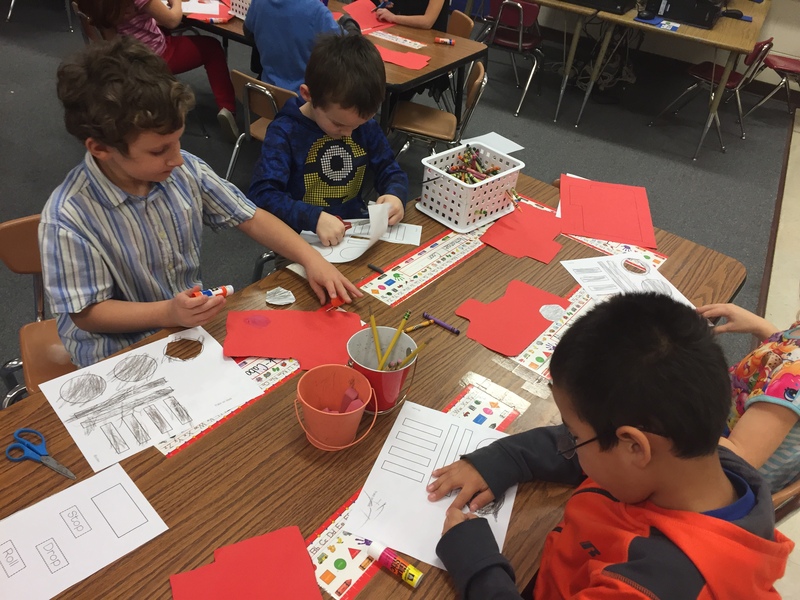 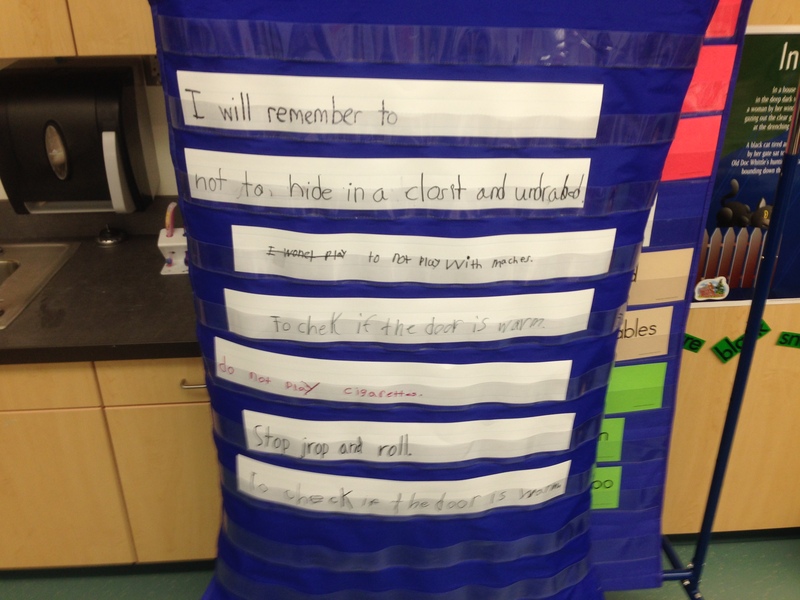 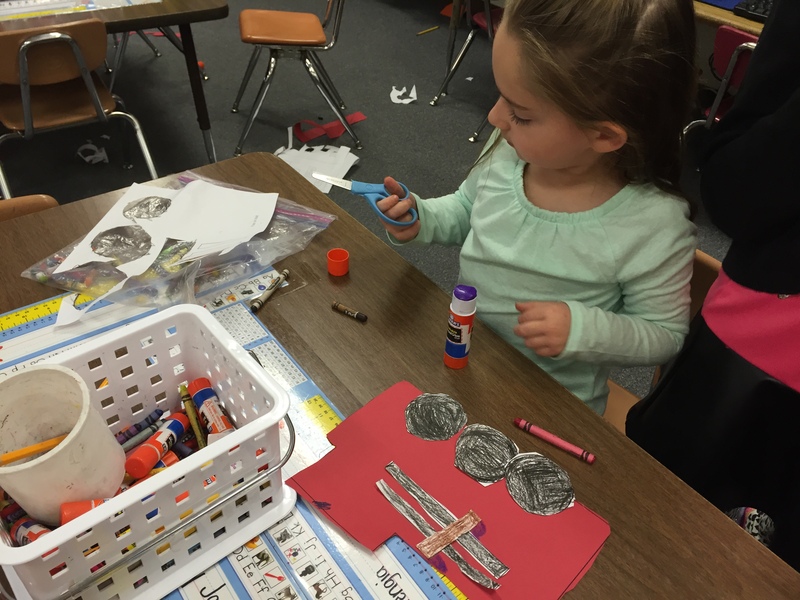 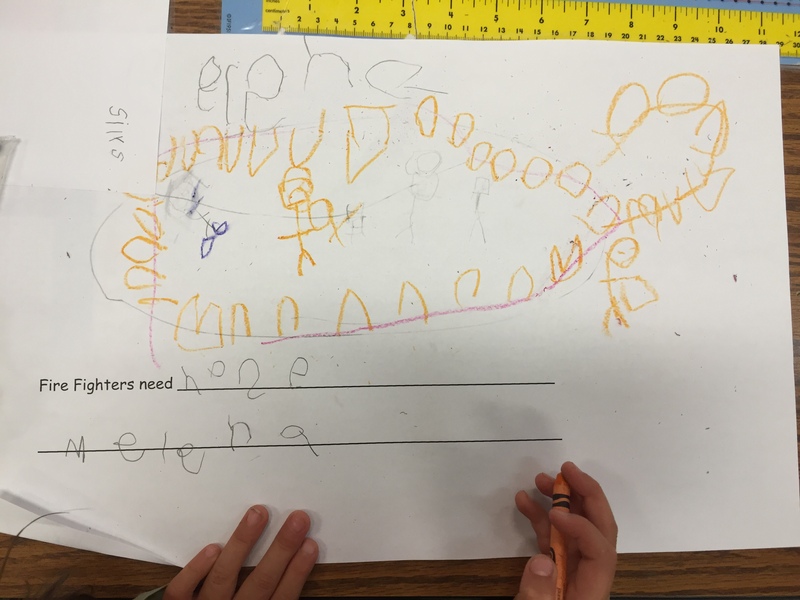 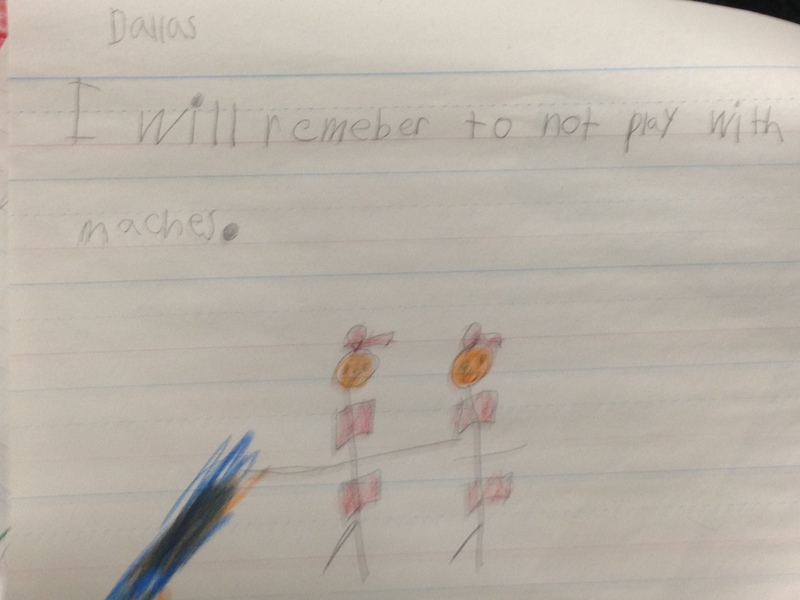 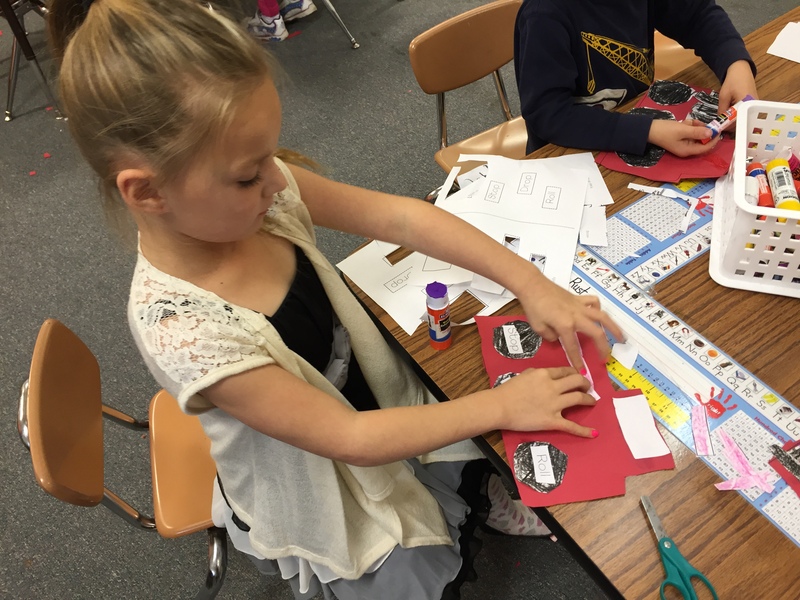 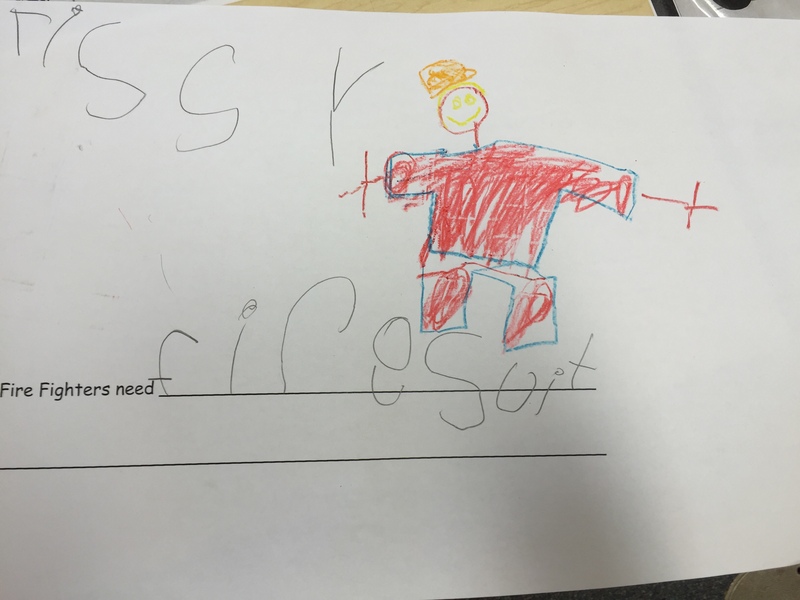 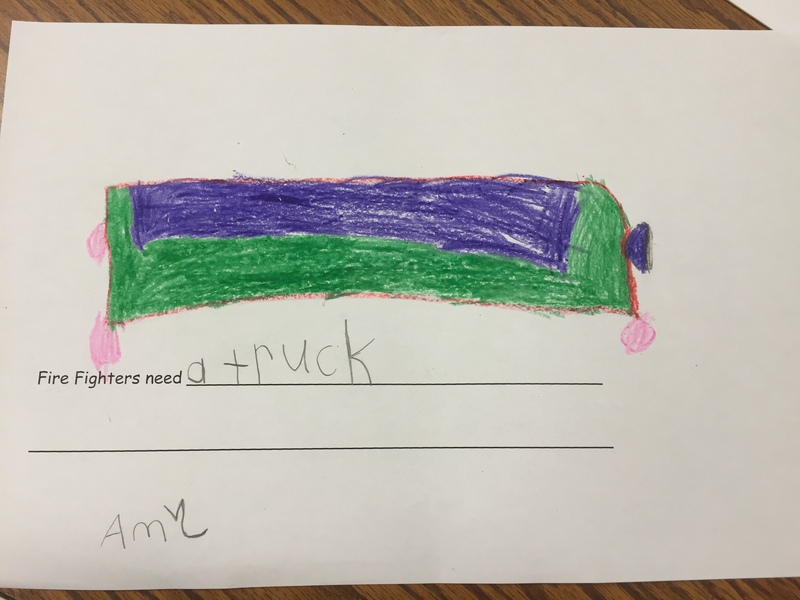 Then we wrote about one of the items. 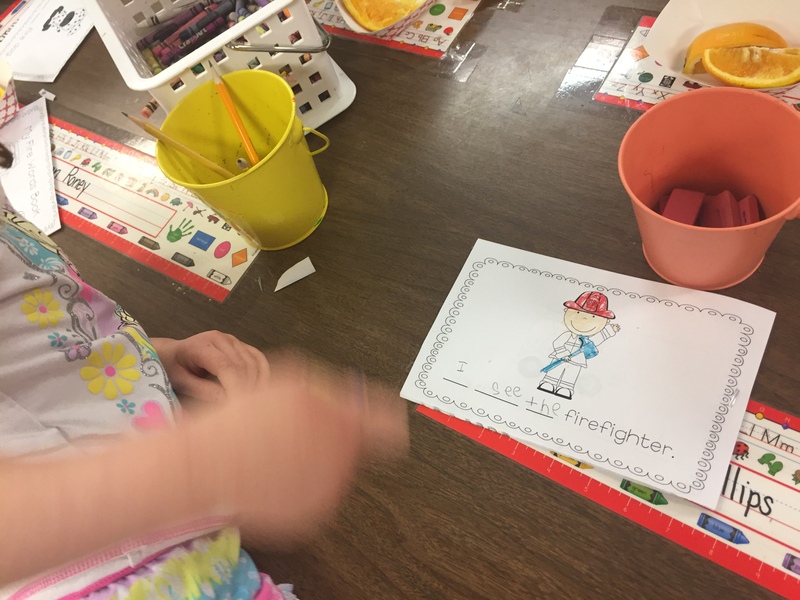 As we move along with our community helpers unit we learned about firefighters and watched a Mr. Rogers Neighborhood video that showed us about firefighters. 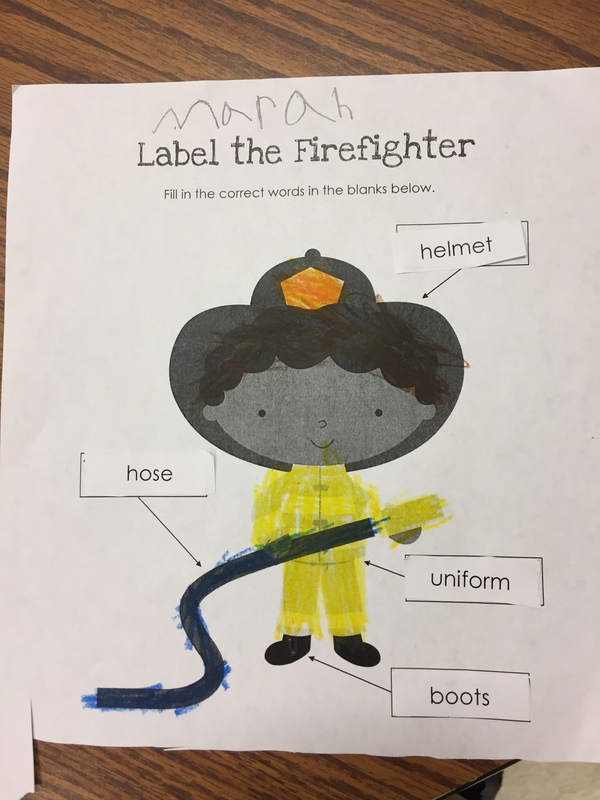 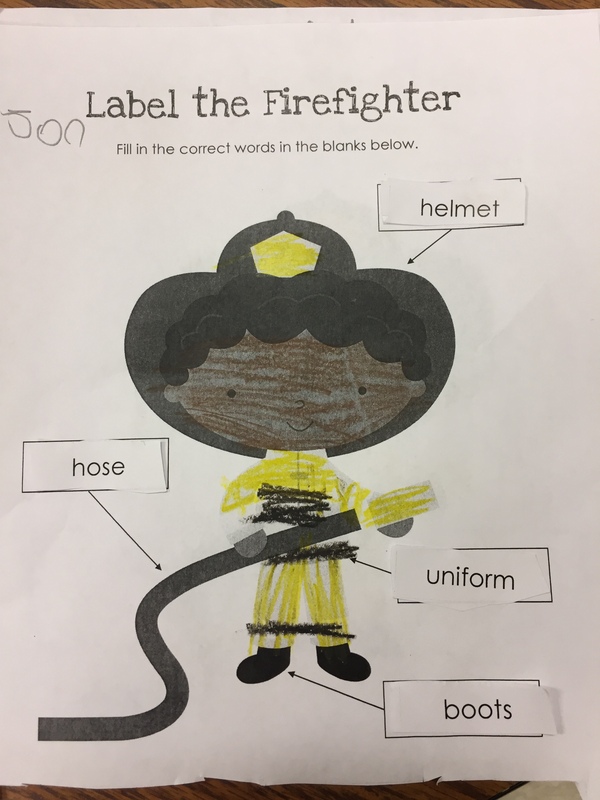 We also learned that not only do firefighters help put out fires, we also learned that they teach us about fire safety. 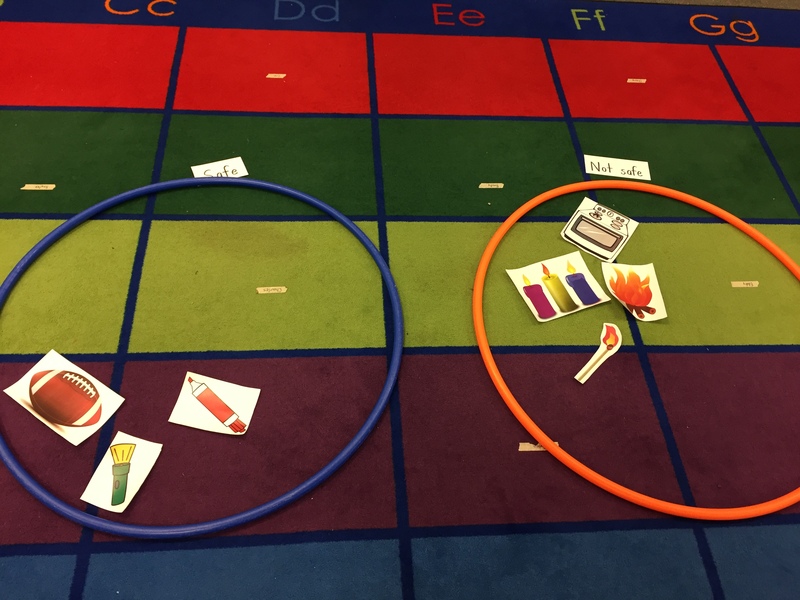 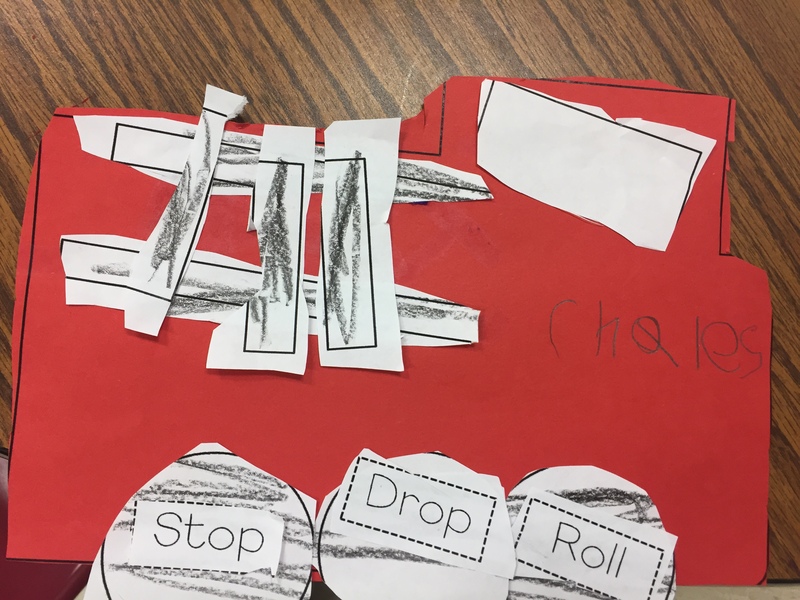 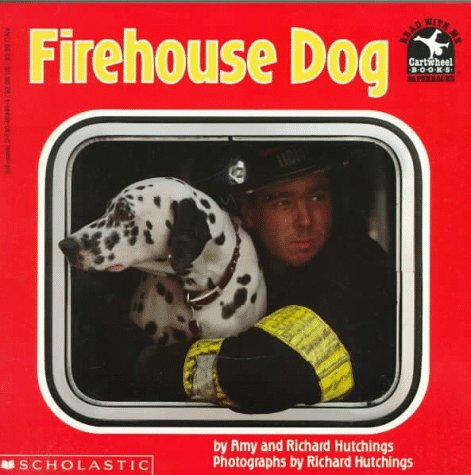 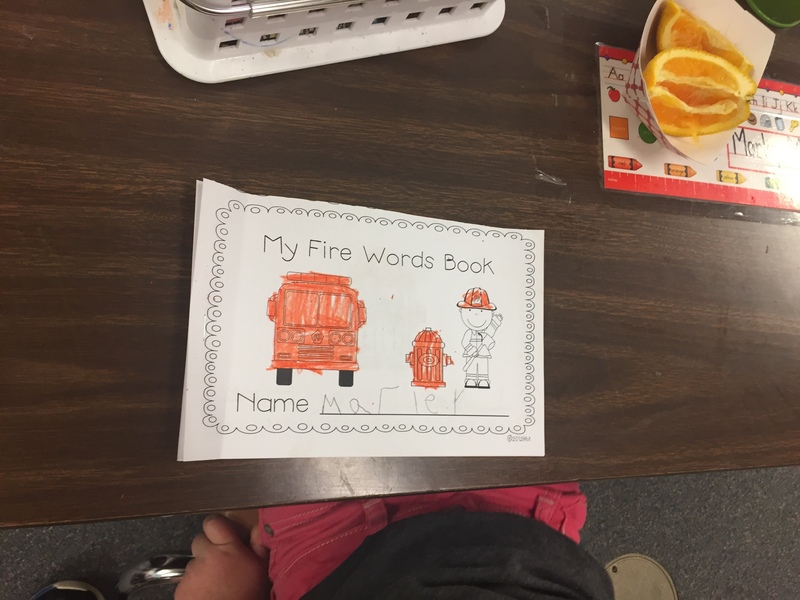 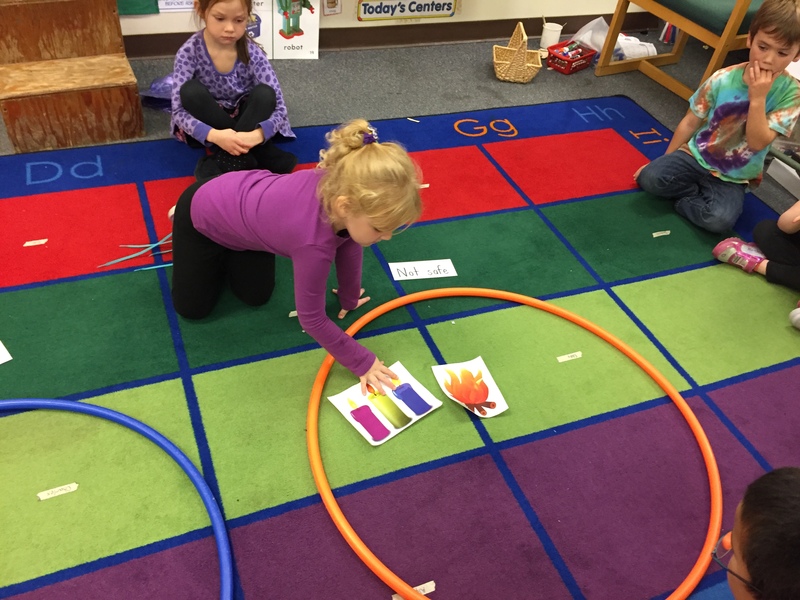 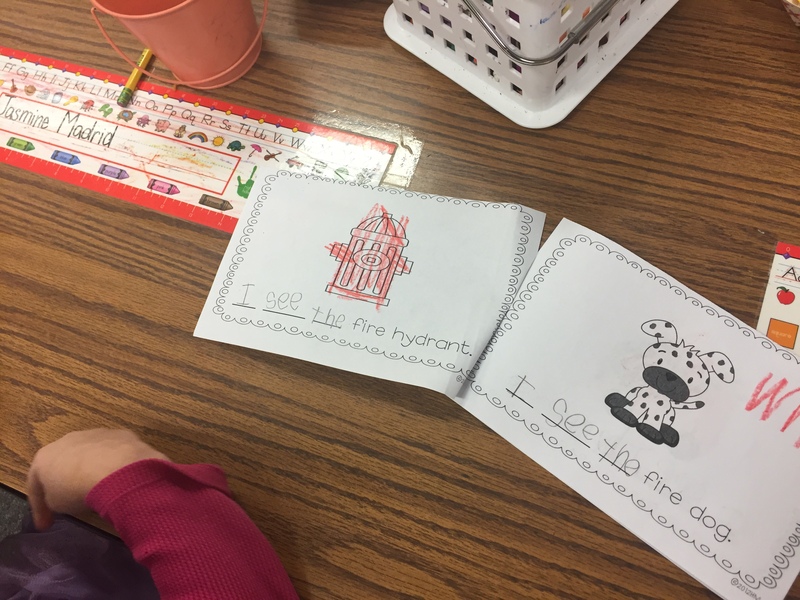 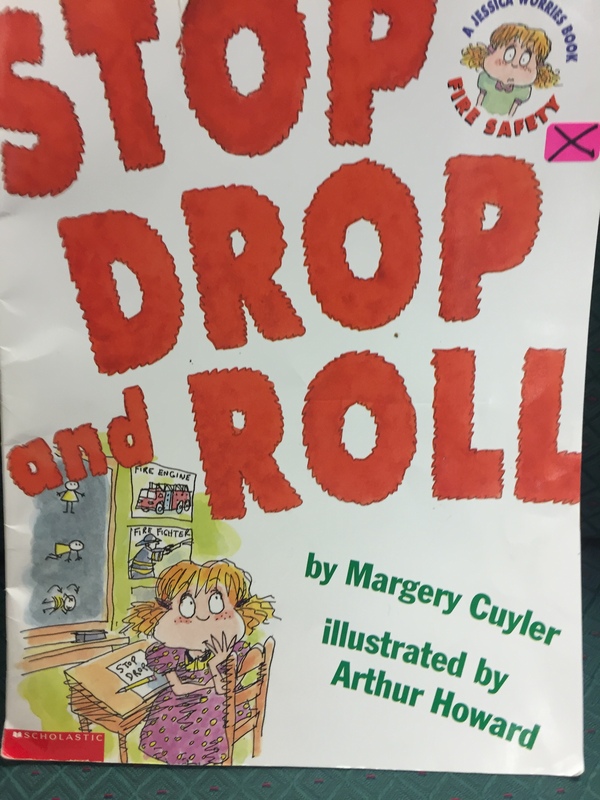 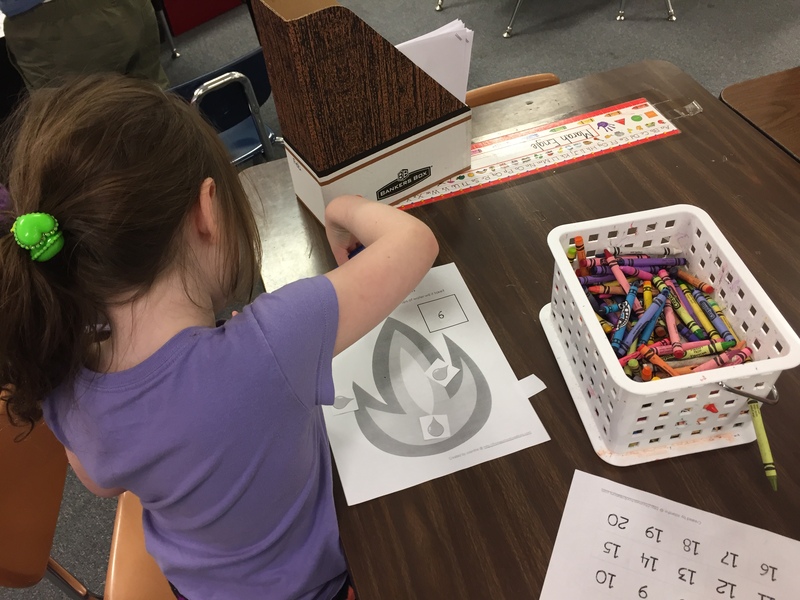 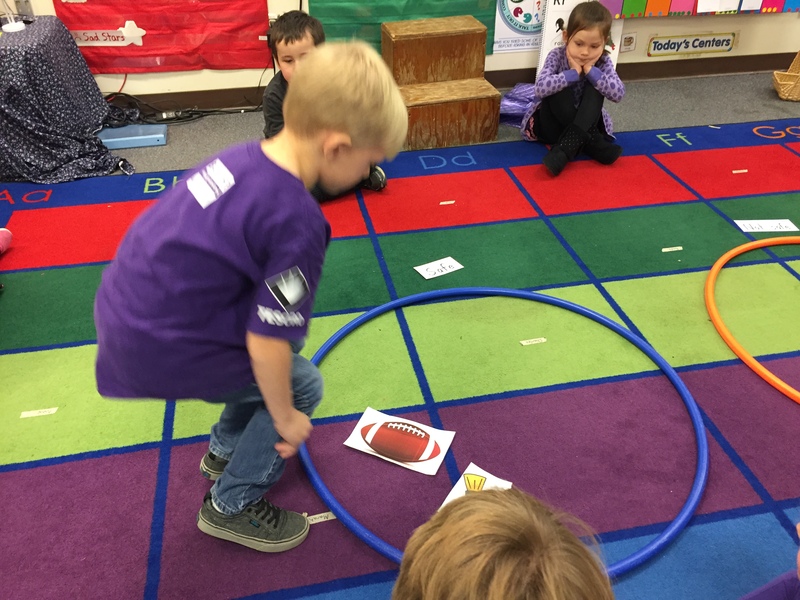 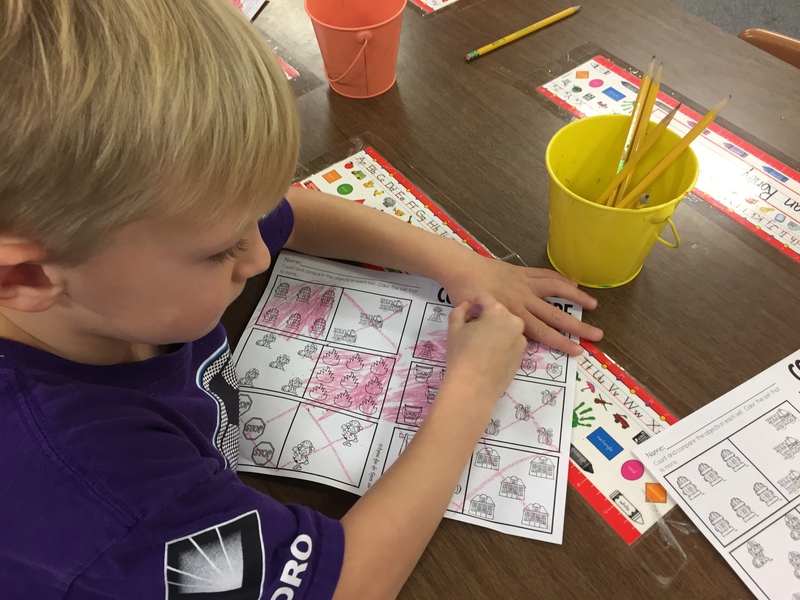 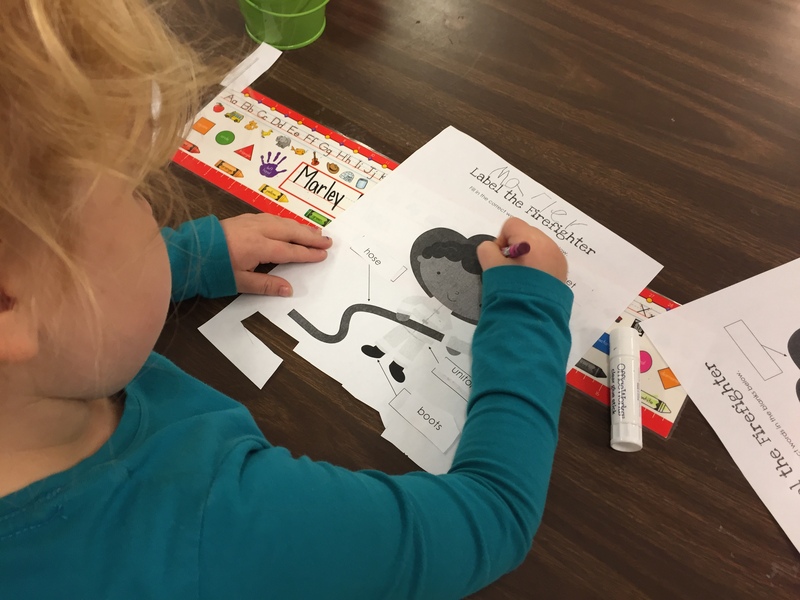 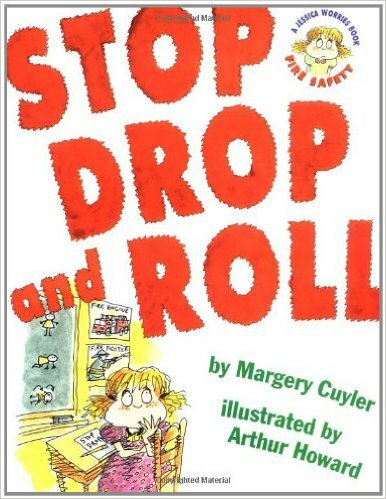 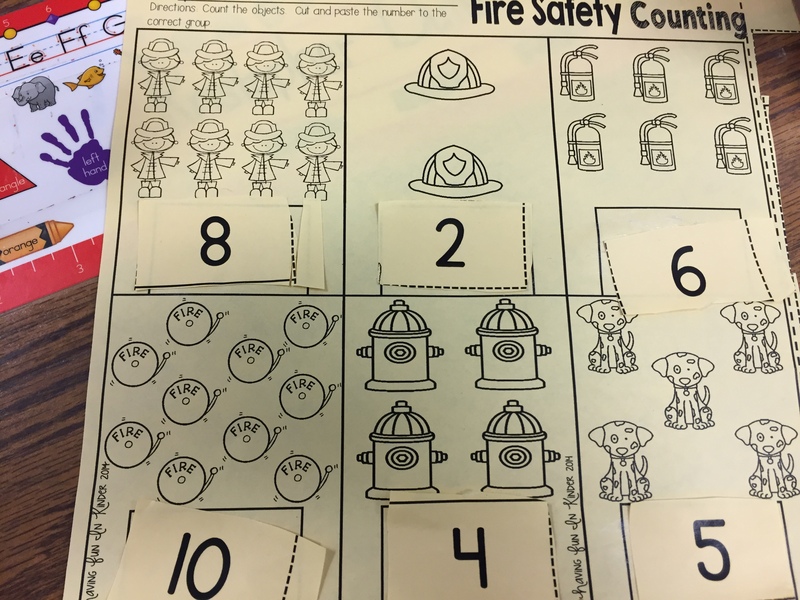 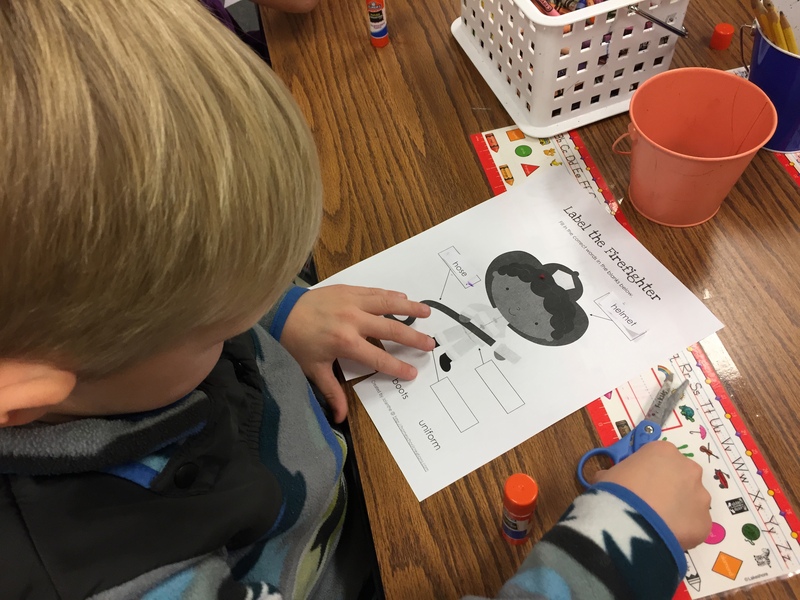 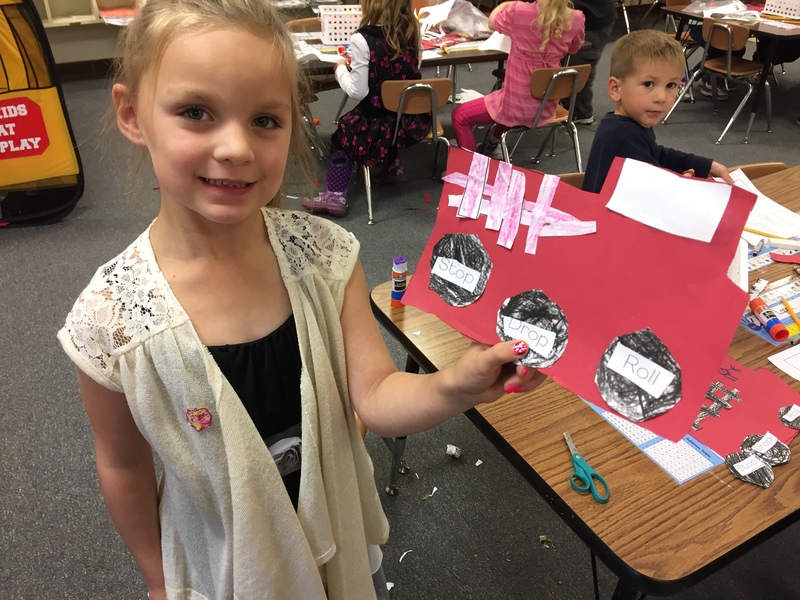 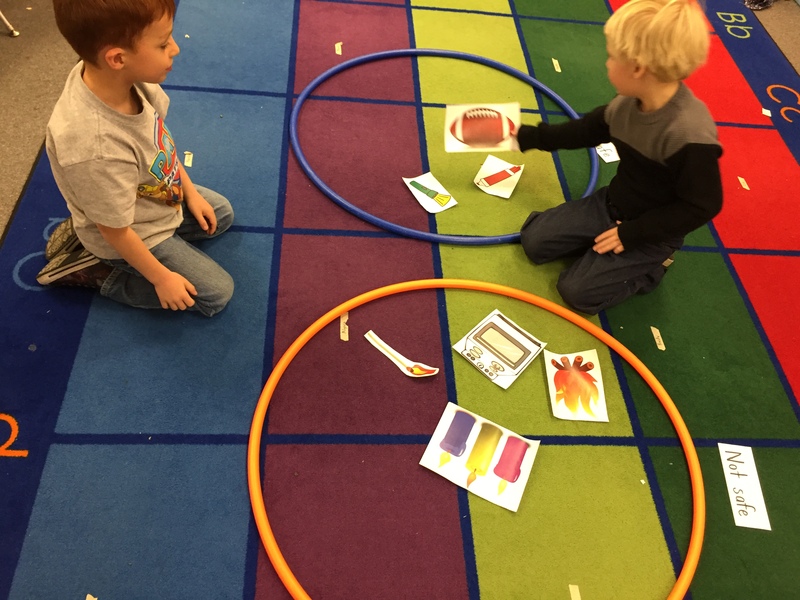 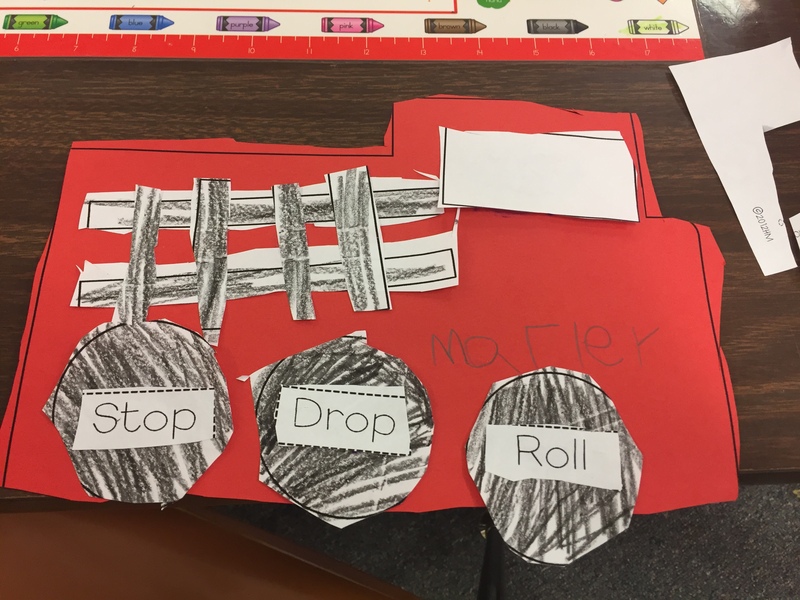 We then read a book called “Stop, Drop, and Roll” and completed a sentence starter telling our audience that we would remember to do if there was a fire.